Perhaps, the bra is the most odious object of the women's wardrobe. It is adored by men's magazines, constantly experimented with by underwear brands, turned into a symbol of female sexuality, and then they shock us with statistics that more than half of women choose the wrong bra size, which threatens them with almost deadly diseases. Which stories about the bra are true, and which are fiction? 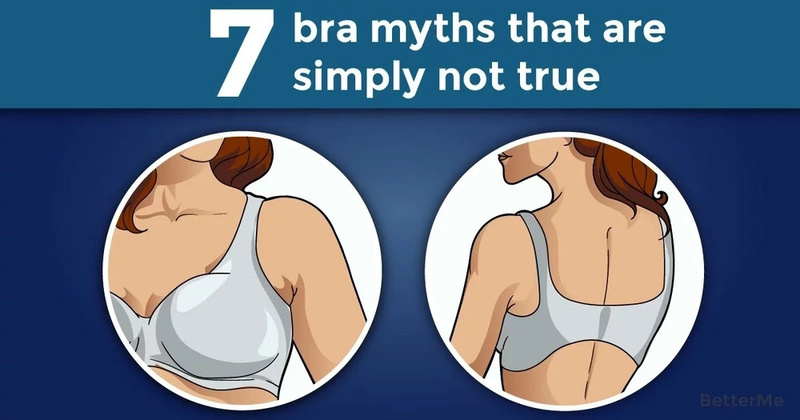 Check out 7 bra myths that are simply not true. Your breasts have their own growth plans, conditioned by genetics, and a sports bra serves as support for the chest and makes training comfortable. Myth 3: If you do not remove the bra at night, it will help to keep the breast shape. Sleeping in a bra is torture, but will not affect the form and elasticity of the chest. The bra can not hurt your breasts during sleep, but it will add to the inconvenience. The belt of the bra tends to stretch about 8 cm. When this happens, we just need to move from the most extreme fastener to the middle one and then to the innermost clasp. The truth is that the type of bra that you wear, the tightness of your underwear or other clothes do not have any connection with the risk of developing breast cancer. If you wear a bra properly and take care of it correctly, it will last you 8 months. After a few months, the belt will in any case be stretched and your breasts will be left without proper support.